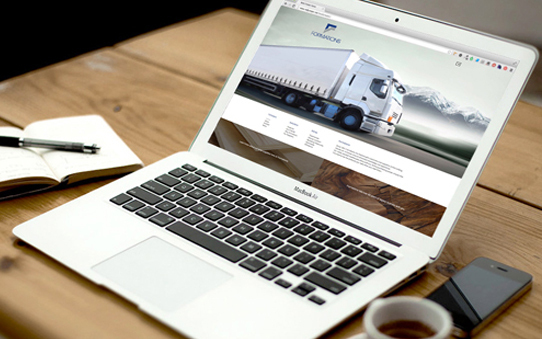 Strongvine has experienced great pleasure working with Formations new websites. We had the large task of rebranding the entire company from the ground up… Logo, Cards, Trucks, Website, Marketing Material, Packaging, Etc… Wow what a great project. Strongvine would like to thank Formations marketing director John McQuade for all the hard work he has put into this project for the last 3 months. We always find it challenging to take up a task of re-brand when clients have little to no vision on the final solution, but in this case we had the “ball in our court” as John and his team collaborated in a very creative way on what the longterm goals should be and how to best execute them. Thank you! “January 20 2015 our NEW Formations webpage successfully launches sending ripples throughout our Industry! A sleek new format has been unleashed…quicker than ever to navigate and filled with the information woodworkers and architects & designers need!